There is a lot to do in Seattle so we’ve narrowed down the list here of the top 10+ things you must see and do in Seattle while you visit! Seattle is the largest city in Washington State and lies to the west of Bellevue and the North of Tacoma and Olympia. North of Seattle you drive through Lynnwood, Everett, Marysville, Mount Vernon, and Bellingham on your way to the Canadian boarder. 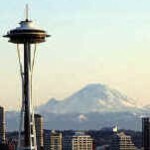 You’ll find a thriving community in the Downtown Seattle district as well as great lodging and dining. Seattle is also considered an entry point for tours and trips into Washington along with Spokane in Eastern Washington Gateway Country. 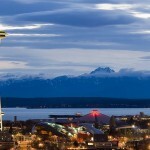 Be sure to check out our video page of all the main Seattle Neighborhoods. Check out the Seattle CityPASS too. 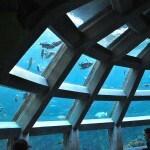 It’s a great way to see some of Seattle Washington’s main attractions. You’ll save 45% off of 5 different attractions, skip most of the ticket lines, and get nine days to use the pass from first day you use it! Visit Seattle’s “Pacific Science Center” and 4 other attractions a savings of up to 45% with CityPASS. Shop Today! You can save on shows and events too. Check current Discount Tickets for Seattle Shows and Events. Now to plan your trip with our favorite list that you must see and do in Seattle! A 41-second elevator ride takes you up 520 feet to the observation deck of the Space Needle, built for the 1962 World’s Fair. Enjoy a meal at SkyCity, the restaurant at the top that revolves 360° while you dine. 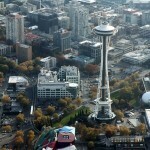 The space Needle is definitely an icon and one of the things you must see and do in Seattle. Note: SkyCity is closed for renovation. SkyCity at the Needle, the third restaurant to be perched at 500’ on top of the Space Needle, officially closed September 4, 2017. It was the cherished celebration restaurant of the Pacific Northwest for 18 years. Now, in the midst of the historic renovation of the Space Needle, the culinary team is working on what the fourth chapter of dining will be. The Space Needle is working with world renown designer, Tihany Design, to re-invent dining at the Space Needle. Look for more details early fall about the restaurant of the future. Born in 1907, Seattle’s Pike Place Market is the granddaddy of farmers’ markets. Today, it’s a major global tourist attraction (33rd most visited in the world) with 200 businesses operating year-round, 190 craftspeople and 120 farmer booths – plus street performers and musicians. Flowers by the bucketful, flying fish, fresh pastries and fruit, handmade cheeses, local honey, wine, an assortment of restaurants, import goods, antiques, collectibles and lots of surprises are around every corner. 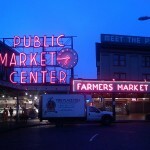 See Pike Place Market videos and tours. Traveling by ferry is a state of mind as much as a means of transportation to some of the Puget Sound’s most historic and scenic sites. Views of the Olympic and Cascade mountains, the Seattle cityscape and the green shorelines will draw you out onto the deck to feel the salt breeze on your face. Considered the top tourist attraction in Washington State, riding on a ferry is something you must see and do in Seattle. 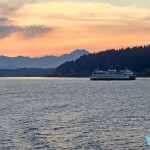 The state ferry system takes passengers and their vehicles from Seattle and nearby departure points to Vashon Island, the Kitsap Peninsula, the San Juan Islands and Canada. The Seattle Center is a 74-acre complex build for the 1962 worlds fair. On the grounds you’ll find arts, entertainment, a park, and much more. The Seattle Center contains the Space Needle, International Fountain, Monorail terminus, and Armory (with food court, Repertory Theatre, Children’s Museum, and the Seattle Shakespeare Company). 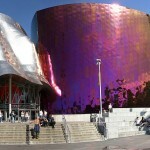 The center also contains the Experience Music Project, Chihuly Garden and Glass Museum, Mercer Arena, Pacific Science Center, and more. 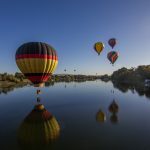 Speaking about flying rides over Washington – be sure to check out Seattle Ballooning if you are looking for an adventure out of town just a bit with sweeping views including Mt. Rainer. The Seattle Great Wheel was built in less than a year. Seattle businessman Hal Griffith wanted a Ferris wheel in the city for nearly 30 years, and then he realized he could build one on his own pier. 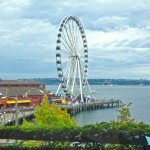 The Seattle Great Wheel has been operating since public the end of June 2012. 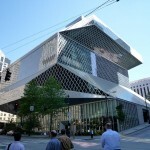 It is now a Seattle icon and major tourist destination. Opened in summer of 2016 by the folks who brought us the Seattle Great Wheel, Wings Over Washington offers the thrill and adrenaline rush of flying over Washington without leaving the city. January 2017 – This just in! – Ride the Ducks of Seattle named Best City Tour by Pacific Northwest A-List voter. Dedicated to contemporary popular culture and founded by Paul Allen in 2000, the museum opened as the Experience Music Project, the Museum of Pop Culture is a nonprofit museum and is definitely something you must see and do in Seattle! Designed for the 1962 worlds fair along with the Space Needle, the Pacific Science Center is a museum with the goal of bringing science to life. The center offers exhibits, IMAX Movies, and an 80 foot diameter Laser Dome – the largest and longest operating domed laser theater in the world. Is Seattle Healthy to Visit? 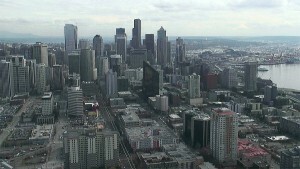 A 2013 study finds Seattle to be among the healthiest cities in America. Not only that but it’s at the top of the list in second place only to Boston, Massachusetts. 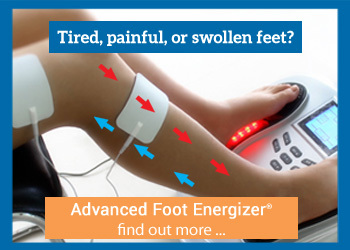 Part of ongoing city health is your own home health. Learn more about keeping a healthy home with checklists and resources.